This rare event features Guest Chefs from some of the most prestigious Golf and Country Clubs in the North East and Florida.. Edgewood's own Executive Chef Anthony Villanueva will be our host Chef for the event and alongside him will be Executive Chefs and teams from Sebonack Golf Club, GlenArbor Golf Club, Westchester Country Club and Addison Reserve Country Club. Together we will learn about their club’s history and have the opportunity to taste their club’s cuisine at an exclusive sit down dinner event complete with and opening party featuring three signature event cocktails, champagne, a tasting of oyster and vinegar mignonettes, a carving station with Iberico Ham from Spain, silent and live auction, awards presentations and a closing dessert party. We are delighted to announce that Golf Channel's Chantel McCabe will host and present the Golf Kitchen Culinary Excellence Awards Premiere, October 4th, 2018. One day one of my instructors asked me what are you looking to get out of your experience in school? I replied that I just wanted to get a job that would appreciate my work ethic and possibly retire from. read more ..
​​Anthony Giacoponello is one of the industries finest chefs. He has an impeccable culinary background and has traveled extensively. He has worked with many of the world's finest restaurants including Lespinasse, Daniel, La Caravelle, Le Cirque and Le Louis XV, to name a few. ​In late 1998, Bell followed Andrew Carmellini (then sous chef at Le Cirque) to join the opening kitchen of Café Boulud; he began as saucier and was promoted to sous chef within the year. Ten years later, Bell brought Boulud’s idea of the finest in French cuisine to Palm Beach, where he commanded the kitchen as executive chef at Café Boulud Palm Beach. He earned the restaurant the coveted Wine Spectator’s “Best Of” Award of Excellence, four stars in the Mobil Travel Guide, Stellar Hotel Restaurant, and Most Exciting New Menu, as well as Florida Trend Magazine’s Golden Spoon Award. Zach also won a StarChefs.com 2008 South Florida Rising Stars Award, and has been a finalist four times for the prestigious James Beard Award for outstanding chef in the South. Dana Iannelli, comes from a big Italian family, that prides itself on great food. She spent a lot of time in the kitchen with her mom and her grandmother, cooking and experimenting. As a child, playing Chef with an Easy Bake Oven seemed to be a strong indicator to her future. Dana grew up in South Jersey, just outside of Philadelphia. Her mother, a talented cook herself, turned the family home into a daycare center. Dana and her brother and sister enjoyed being helpers. Dana took extracurricular culinary classes at high school, to enhance her learning experiences, along with the confidence and support of her teacher, it solidified her desire to go to culinary school. She ultimately attended the CIA (Culinary Institute of America in Hyde Park, New York) . ​We are proud to announce the recipients of the Golf Kitchen Culinary Excellence Awards Premiere to be hosted by Golf Channel's Chantel McCabe, October 4th, 2018 at Edgewood Country Club, River Vale, New Jersey. For too long culinary talent has been hidden from recognition due to the private nature of our industry. Edgewood Country Club, River Vale, New Jersey and it's upper management team recognized immediately the importance of the "Golf Kitchen Culinary Excellence Awards" and has gone above and beyond to ensure its launch is a success. If anyone understands the palette of Arnold Palmer himself, it is Robert Lee. Robert was hired by Mr. Palmer over 27 years ago and together they collaborated over many years to establish a unique menu focused on one of the Golf Industries legends. Lee’s tireless work, love and respect for Mr. Palmer makes him a valuable part of the industries culinary history. Executive Chef Doug Blair and his team at Cassique deliver a unique dining menu featuring selections sourced from local farmers and fisheries, creating a unique, intimate farm to table experience. After 6 years in some of Seattle’s finest restaurants and following a stint in New York training under Chef Tom Colicchio, Chef Doug took the helm as the Kiawah Island Club’s Executive Chef in 2000. Doug and his team have developed a culinary prowess to create outstanding menus to rival any of the great chefs. Kohanaiki and Patrick Heymann have developed a unique blend of island and beach cuisine that is also indulgently elegant, and the members and guests love it. I have rarely seen a membership so involved in the dining scene then at Kohanaiki. Patrick's ability to communicate on a culinary level with the members and guests at Kohanaiki is quite remarkable. Carl Emberson, COO at Punta Mita had recognized the importance of the culinary side of golf many years ago and at Punta Mita, he has developed his culinary team, lead by Pato Persico, that is not only very talented but openly welcome collaboration with Culinary teams from the industry globally. Punta Mita has now become the home of Golf Kitchen Punta Mita, a four-day culinary extravaganza that takes place each April and features leading culinary teams from some the world's finest Golf, Country Clubs, and Resorts golfing and cooking for those fortunate to attend. 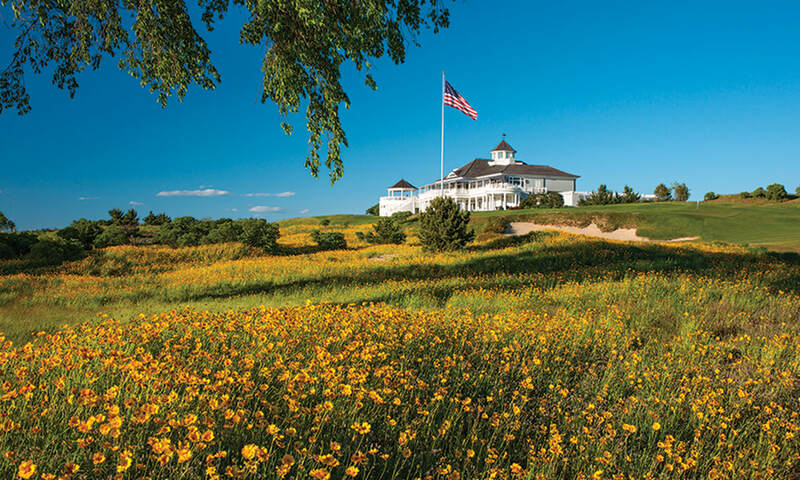 Sebonack Golf Club has been an instrumental part of the Golf Kitchen journey, supporting the culinary vision since 2010, when the industry was lagging. Giacoponello is one of the finest chefs in the business. His global training reads like the who's who of leading chefs of the world. His ability to consistently produce high-quality cuisine at all levels of the club’s menu and to remain calm under all conditions is notable. Troy Albert, Certified Club Manager and General Manager - Sebonack Golf Club, Southampton, New York, USA. Troy Albert is a General Manager that has a genuine love of people and it immediately shows when you enter the gates at Sebonack Golf Club. Albert, with the guidance of the club’s owner Mr. Michael Pascucci, has developed a unique management style that makes not only the members and guests feel appreciated, but also the staff, who are a part of the family. Albert, who had previously worked with Executive Chef Anthony Giacoponello, had the culinary knowledge and expertise to recruit Giacoponello to take charge of this unique and prestigious kitchen which will continue to bring culinary innovation to the members, guests and the industry for many years to come. Colin A. Burns, Certified Club Manager and General Manager - Winged Foot Golf Club, Mamaroneck, New York, USA. 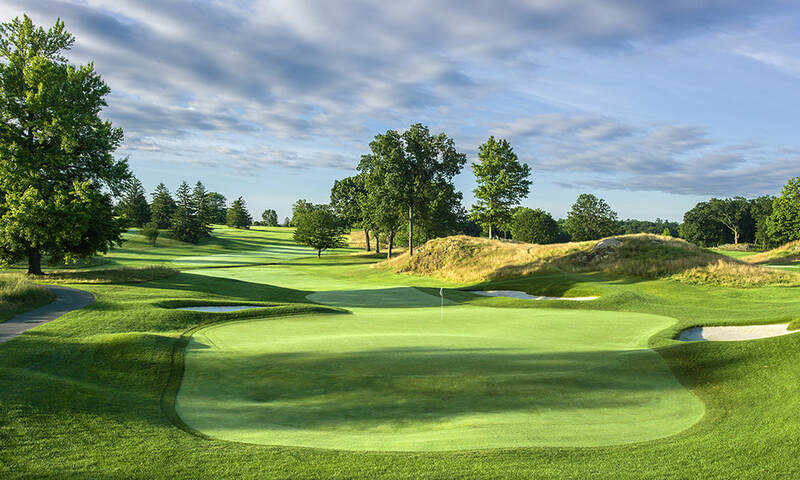 Colin Burns, longtime General Manager at Winged Foot Golf Club possesses a management style that is purely and genuinely focused on the members and guests at all times. 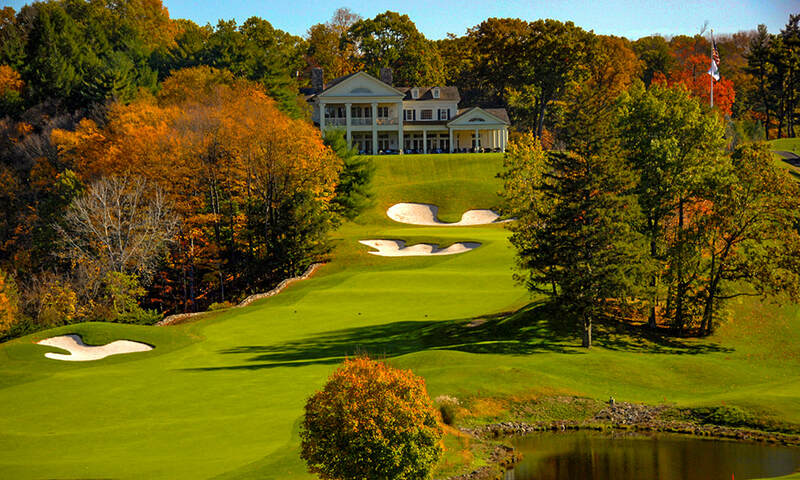 Burns was one of the first in the industry to improve the culinary landscape in the Private Golf Club industry. Over nine years ago he appointed renowned Executive Chef Rhy Waddington who has successfully achieved and surpassed this goal. With a new kitchen, renovated clubhouse and another US Open in 2020, I am sure there is even more innovation Colin has yet to unveil. 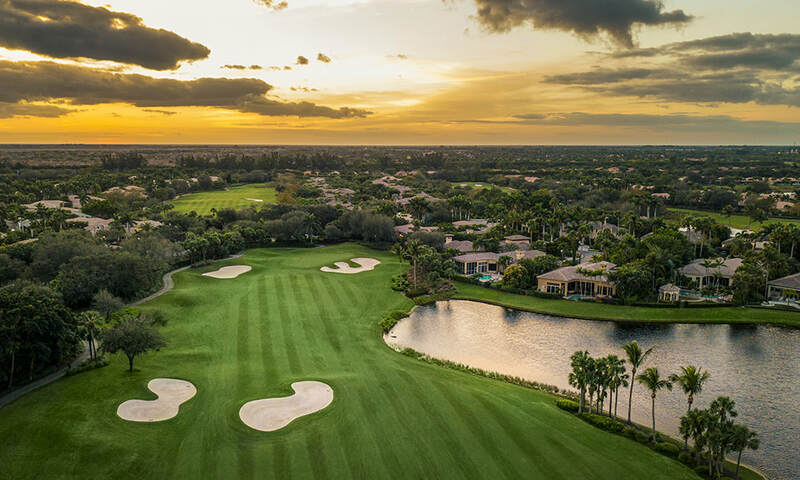 Jay DiPietro, Chief Operation Officer (recently retired) and Consultant - Boca West Country Club, Boca Raton, Florida, USA. There are not too many General Managers that have created the culinary legacy that Jay DiPietro has at Boca West Country Club. His flamboyant management style and extraordinary vision has shaped the many culinary eating spaces at this famed residential country club. The industry thanks Mr. DiPietro for over 30 years of outstanding service and wish him a long and entertaining retirement. Frank Benzakour is a highly motivated and strategic General Manager. Benzakour’s style is quite individual and he possesses the ability to see through the fog. He is one of the visionary leaders who "can foresee where the puck is going to be rather than where it has been." Benzakour has the skill to decisively and successfully implement changes in an industry that typically takes much time and patience. Critically acclaimed jewelry bar featuring selected offerings from top Madison Avenue designers such as Judith Ripka, Ippolita, and Meira T.